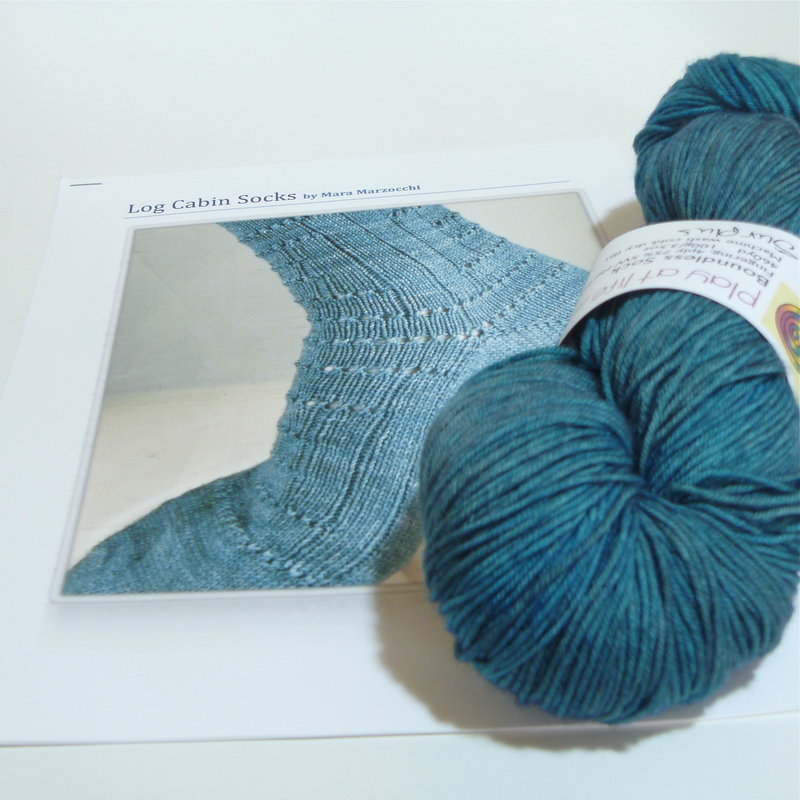 This entry was posted in giveaways and tagged etsy, giveaway, hand dyed, knitting, log cabin, pattern, socks, yarn by cgovernoillustration. Bookmark the permalink. My favorite snuggle objects are my big, purple, velvety blanket, some (Play at Life) yarn, and needles, and a good movie to watch. That extra comma is silent. I have a knitted afghan that a family friend made for us for our wedding. I love to put that over my blankets in the winter and snuggle up at night. Makes it hard to get out of bed in the morning! Shared on Facebook as well. Love the pattern! My favorite snuggle object is my 13-month old grandson Sullivan – wrapped in a handmade sweater, of course!!! I’m confused by the logging in process, so hope this is right. Your comment went through! I don’t think you *have* to log in to leave a comment. But WordPress does require an email (only viewable by me) to dissuade spammers. My favorite snuggle object is my youngest son. He’s 9, and about to get out of sungglability. My favorite snuggle object is my childhood teddy bear. Got her for my first birthday & she’s been through everything with me. Posted on Facebook as Kristi Johnson Drouin. And, finally, shared via my knitting twitter feed. User name TiggerKnitter. My snuggle object is my cat, Minou! My snuggle object is a stuffed bunny that my students gave me after I left my job. It always cheers me up! I like to snuggle with my knitting, usually socks, and my favorite chocolates. Favorite snuggle object: a book in any form, lady grey tea, and this threadbare flannel comforter I’ve had for probably 15 years. Also shared to G+, love to snuggle with blankets. Favorite snuggling item humm , that is a tough one for me, because I can snuggle with a few things. I think REM sleep hits while holding something cuddlely so I would say a soft pillow or the hubby, one of my kids, the dog if he still and not trying to lick me in the face, the cat but its purring is a bit too loud at which it becomes a great alarm clock (0)_(0). In other words I don’t really have just one favorite I have many favorites. My favorite snuggle items are my knitted afghan, a cup of hot coffee and a cuddly cat. I love cuddling up under a rag quilt made by my mom. Unfortunately we just moved to Texas and there’s not much snuggle weather around here! I have an electric trow blanket that I use while knitting and/or watching tv. Thanks for the giveaway! Favorite snugglie thing, an cabled, bobbled, huge afgan my mother knit me. But to snuggle properly, you need a pot of tea and a good book (Kindle or regular). And for the last 2.5 weeks it helps to have the new grandson Jake under the afgan as well! love the color, and my family as a cabin that is hands down my favorite place in the world to be…. My…A good cup of tea, curled up in bed under a warm quilt with the dog sprawled out over two thirds, my knitting, and a cheesy movie to snark at. Love to cuddle in a soft fuzzy sweatshirt. They are so cozy and warm. I like to snuggle up in one if my husbands big old t-shirts. My favorite snuggle item is my cat kyoto! I love to snuggle up on the couch with my frog pillow and good book. I snuggle with my little rescue puppy and my knitted dragon toy. If it is really cold fluffy socks or a quilted throw join the mix. 🙂 btw this pattern is really cool can’t wait to try it weather or not I win! I like to get under a quilt that my mom bought for me with my nook and read myself to sleep. My favorite thing to snuggle with is hubby – followed closely by the kitties and the Golden retriever who thinks he’s a lap dog (he does keep other snugglees warm though). Just Beautiful! Socks are my favorite knitting project,and I am in awe of people like you, who not only knit, but create for us beautiful patterns so that we too can enjoy. My favorite cuddle object is my 17 pound orange tiger cat draped over my feet while I knit. It would be a toss up between the husbeast and the fuzzball that’s currently on my lap and making it difficult to type this. My favorite snuggley object is my nephew Jackson! My favorite snuggle objects are my afghan, a good book, and my cat. Unfortunately, I can have only two of the three now (no more kitty), but yes, those would have to be my favorites. My fav snuggle items are a squooshy skein of merino or merino/silk or alpaca, the eye searing rainbow blanket crocheted by MIL when DH was a kid, and a mug of hot chocolate. I love the colorway btw. My favorite snuggle objects are our big blanket, my husband, our husky, my knitting, and a full glass of red wine. 🙂 If I can get all five of those things in one place, my evening is perfect! I think my favorite snuggle thing is my big teddy bear I have had since I was four years old. He is a big brown bear that I named Boom Bear. I like to cuddle with him when I am feeling sad or lonely and he makes me feel better. The teddy bear my great-grandmother made for me when I was an infant. He no longer has any eyes, but he still succeeds in making me feel safe. Beautiful pattern! I love a big furry blanket, a cat snuggled up next to me and a sock in progress. I have to say my favorite cuddle object is my hubby. If it has to be an inanimate object, it would be a good romance novel. My favorite thing to snuggle with is a stuffed lion my husband bought me the first year we were dating. That was over 12 years ago, and although it looks a little worse for wear, it is still my favorite. Warm wooly socks really warm me up! Hot cup of Chai Tea, my Kindle and my furbaby! My favorite cuddly object would be my daughter, snuggled up on my lap with her “special” her little hand knit, toddler sized, blanky. Sound asleep and angelically perfect. I also shared on fb, twitter and g+. Thank you, great give away! my favorite snuggle object is the awesome rice buddy my talented dd made for me. heat in microwave and put it on aches and it soothes them away! My favorite snuggle buddy is a warm cup of tea/chocolate on a rainy night and beer on a hot summer night like this. I love snuggling under my blankets on my bed. I don’t exactly have a certain cuddle object (yet. Hopefully my future husband will be the type to let me snuggle with him. lol). Any of my quilts and a toasty pair of socks!